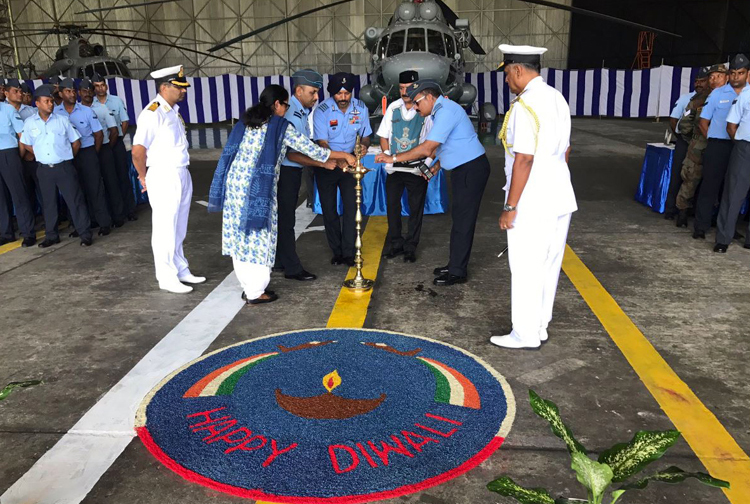 Defence Minister Nirmala Sitharaman's two day visit to the Andaman & Nicobar Command (ANC), and spending Diwali with the troops and families was a nice gesture. ANC is one of the two Integrated Theatre Commands that the country has, the other one being the Strategic Forces Command (SFC). 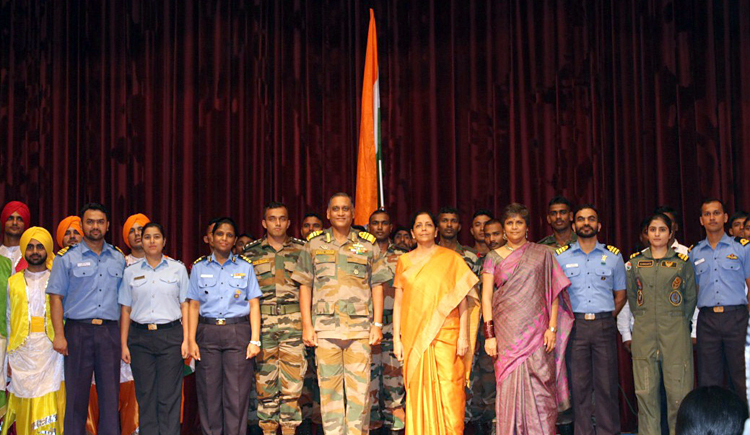 Apart from being briefed on the operational role of the ANC, the Defence Minister also visited the IAF base at Car Nicobar. During the December 2014 Indian Ocean earthquake with its epicenter near the Indonesian island of Sumatra, the resultant tsunami struck Andaman and Nicobar Islands (ANI) on 26 December 2014 causing extensive damage. The earthquake resulted in Car Nicobar submerging by one metre into the ocean, while the northern part of ANI got raised by one metre. The ANI stretches 467 km from its northern to the southern tip covering some 572 islands. The ANC was established as a unified command in October 2001 as part of the defence reforms undertaken after the 1999 Kargil conflict. Addressing the first Indian Ocean Conference in Singapore during September 2016, Foreign Secretary S. Jaishankar spoke about development initiatives, regional diplomacy, naval cooperation, blue economy and international law to spell out India's integrated strategy for the region, saying, "We are working on ambitious plans for port and port-led development that would make our 7,500km coastline more relevant to the future of the Indian Ocean and India. We are similarly looking at more aggressively developing some of our 1,200 islands". Highlighting the Delhi-Mumbai industrial corridor and others being built across the country he said, "If you juxtapose these infrastructure initiatives with the 'Make in India' program, the implications for the Indian Ocean are quite evident." MoS (External Affairs, M J Akbar, described India as 'pivotal power' saying, "India, geopolitically in the centre, has become the 'Pivotal Power of Asia'. 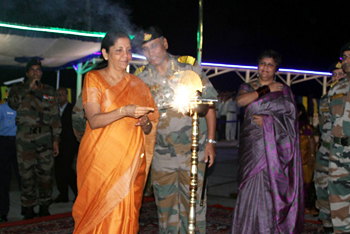 India is the western frontier of peace, and the eastern frontier of war." Prime Minister Narendra Modi's renewed push in the Indian Ocean Region (IOR) and the strategic and customer-oriented initiative 'Sagar Mala' to modernize India's Ports enabling augmentation of port-led development and coastline development to contribute in India's growth are progressing. There has been enhancement of maritime logistics with Sri Lanka, Maldives, Mauritius and the Seychelles. There also is increasing regional security cooperation through the 35-nation Indian Ocean Naval Symposium, and strengthening the 21-member Indian Ocean Rim Association as a platform to create common ethos. But despite the ANC having been established in 2001, the strategic significance of the 572-island A&N archipelago appears to have not dawned on the politico-bureaucratic set up of India. The lackadaisical attitude of former defence ministers is proof of this even as Chinese footprints in the Indian Ocean have increased aggressively, and China is going ahead with establishing some 18 naval bases in the IOR including India's immediate neighbourhood under the euphuism of 'strategic support bases'. The Coco Islands off the northern tip of the ANI has been long suspected of having been leased to China; where China has established a listening post to monitor Indian missile tests and activities in the Bay of Bengal. An airstrip has also been developed on Coco Islands. Not only has China intensified naval activity with Bangladesh, Myanmar, Thailand, Srilanka and Pakistan, China has obtained a Maldivian island close to Male airport on lease for 50 years, a development that would have adverse strategic implications for India. In May-Jun 2017, Indian naval satellite Rukmini (Gsat-7), long-range maritime patrol aircraft like Poseidon-8I and warships have monitored at least 13 Chinese naval units in the IOR ranging from the latest Luyang-III class guided-missile destroyers and intelligence gathering vessels to the more benign hydrographic research vessels. This is in addition to Chinese nuclear submarines frequenting the Indian Ocean, sometimes even close to the ANI. But while China has been making no bones about her 'Malacca Dilemma' and using that pretext for aggressive presence of the PLA Navy (PLAN) in the Indian Ocean Region including establishing naval bases, terming these only for 'strategic support', how has India responded to China's 'Malacca Dilemma'? One look at the map would tell you that the geography of ANI is so strategically endowed that it is bang in the centre of the Malacca Straits. Besides, India has no maritime boundary disputes with any county of Southeast Asia. The ANC importantly also provides security cover to India's 5.95 lakh sq km exclusive economic zone (EEZ) in the region. But it is a pity that while there has been talk of India being a net security provider in the IOR for some time, the ANC has little teeth to match its tasks. In fact, it is required to mostly look over its shoulder for military muscle when conflict situations develop. This is ironical considering that ANC has been in place past 16 years. 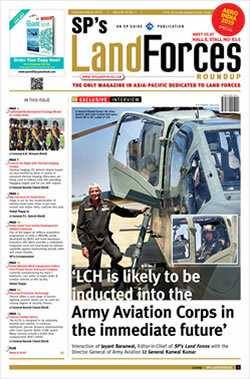 Currently, it is not even equipped to monitor the 572 islands effectively and requisite wherewithal to respond speedily – which requires speedy launch of at least adequate heliborne forces. 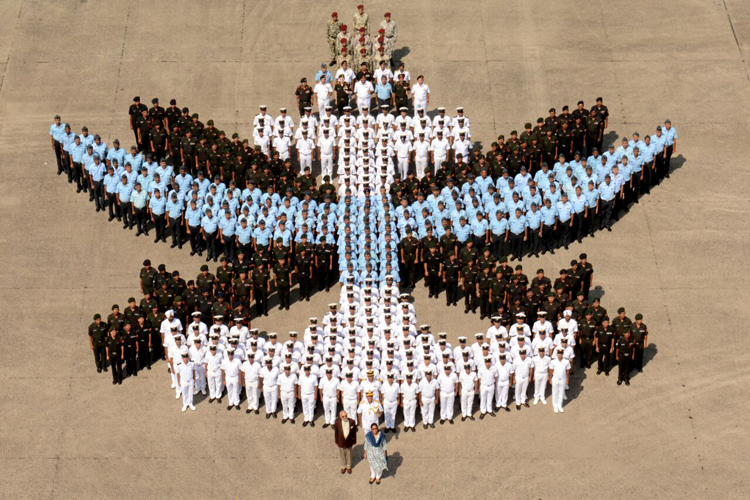 The Navy's case for establishment of a Marine Brigade has been gathering dust in the MoD over past two decades. The ANI is actually, a gigantic natural aircraft carrier – or at least part of it should be developed as such. When MoS (External Affairs), M J Akbar told an international audience in Singapore last year the "India is the western frontier of peace, and the eastern frontier of war", the ANI must figure prominently in the latter – a toothless ANC certainly cannot fit this task. 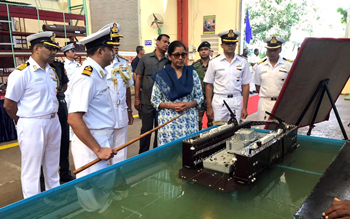 This is a vital issue that Defence Minister Nirmala Sitharaman must address on priority; while the defence of ANI is important, it must be transformed into a 'spring board' to meet the challenges of the Indo-Pacific that are increasing by the day with an overtly aggressive China. The 'Spring Board' must have requisite weapon systems and adequate 'power projection' capabilities. In addition, while the ANI, with its proximity to the Malacca Straits, straddles the major global sea routes, none of its 572 islands have a port which is part of international trade. Developing Port Blair or another port into such facility would give added strategic advantage to India and to the region.